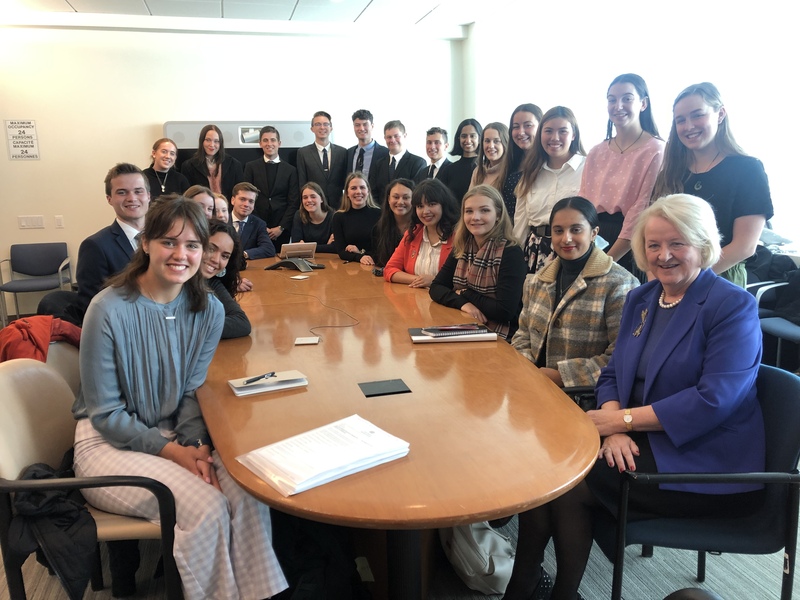 The Global Development Tour’s whirlwind week in the Big Apple has continued to be full with awesome activities, meetings and new experiences. 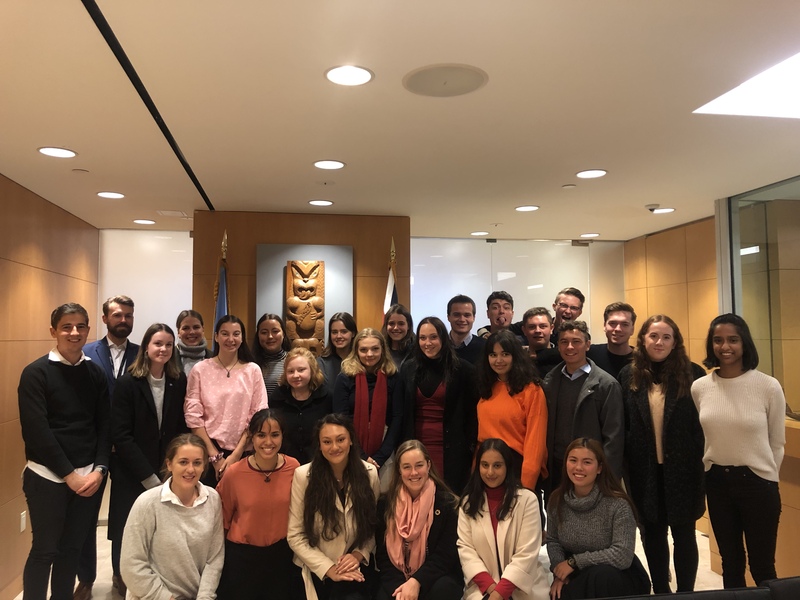 On Wednesday, the Delegation had their first meeting of the Tour with Finnian Cheshire, the Deputy Permanent Representative of New Zealand to the UN. Finnian spoke with the Delegation for 90 minutes, answering questions on a range of topics, including: New Zealand’s tenure on the Security Council; thoughts on the infamous veto power of the five permanent members of the Council; and even the merits of New Zealand becoming a republic. Needless to say, the Delegation learnt a lot, and were happy to hear a familiar, friendly voice this far from home. After this, the Delegation couldn’t resist the opportunity to channel their inner Gossip Girls and take photos both inside Grand Central Station and on the steps of the Metropolitan Museum of Art (‘The Met’, for short). After some time perusing the sprawling, art-lined marble halls of The Met, the Delegation re-grouped for a picturesque walk through Central Park, replete with pretty sunset views of Manhattan. It was then time for the Delegation to test our their culinary prowess in our very own Masterchef. Armed with a 20 USD budget and half an hour’s shopping time in Whole Foods, the Delegation set off in pairs to make one of either an entree, main or dessert for the entire cohort to share. Despite having the New York City Fire Department on standby following a minor incident with a plastic tray in the oven, the Delegates put together a feast of epic proportions. Honourable mentions went to Izzy and Ella’s delicious nachos, and Viv and Caitlin’s sumptuous chocolate cake. However, the ultimate victors were Rosie and Manu with their homemade dumplings, which were a real treat! It is safe to say things are looking promising for most of our Delegates’ future flatting lives. Thursday was a jam-packed day, with two meetings and the opening of CMUNCE. Our first engagement of the day was with New Zealander, Jan Beagle, Under Secretary-General for Management at the UN. Fresh from a meeting with the Secretary-General himself, Jan shared her experience growing up in New Zealand – attending Epsom Girls Grammar School; spending her summers holidaying in Gisborne at Waikanae Beach; and working part-time at Wattie’s. Jan has had a diverse and exciting career, and is a champion for women’s empowerment. This meeting was thoroughly enjoyed by all, and it was amazing to see a Kiwi succeeding in the highest levels of the UN. Next up was our meeting with the Sustainable Development Solutions Network (SDSN). SDSN is a UN initiative with a mandate to promote joint learning and integrated approaches that address the economic, social, and environmental challenges facing the world now and in the future. SDSN engages with academics from across the world, and works closely with other UN agencies, multilateral financing institutions, the private sector, and civil society. The Delegation loved hearing all about the wide array of work SDSN is involved in, including their production of the annual World Happiness Report and SDG index. Following this, the Delegation made their way to the CMUNCE opening ceremonies to hear an address from Vadim Perfiliev, former Director of the UN Secretariat of the General Assembly and Russian Diplomat. 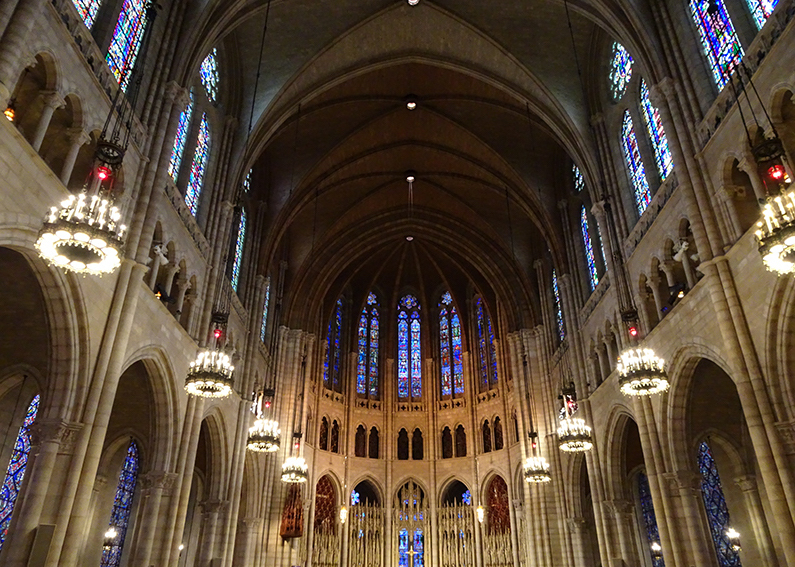 The venue, Riverside Church (pictured above), was where Martin Luther King Jr. presented his ‘Beyond Vietnam’ speech – very impressive! It was then straight into Committee Session One, running from 8 – 10pm (quite a different schedule to any UN Youth New Zealand event!) The Delegates have all been throwing themselves headfirst into their debate and negotiation, not to mention adjusting to the new parliamentary procedures. We look forward to our next update, by which point we will be well into the conference and have had the midnight crisis debate! Standby for that. Day Two & Three: New York, New York! Goodbye, New York; Hello, London!